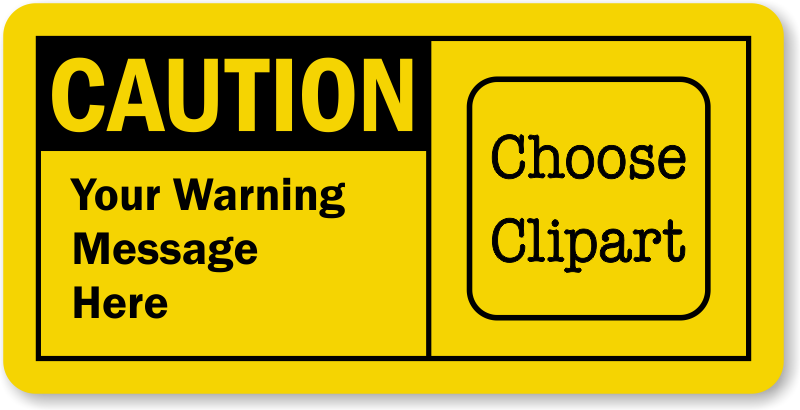 Apply Personalized Caution Label around hazardous areas and alert people against potential danger. Just add text and picto, and display your own safety message. Laminated vinyl label is weatherproof, fade proof, waterproof, UV and chemical resistant. Available in several sizes to suit individual requirements.